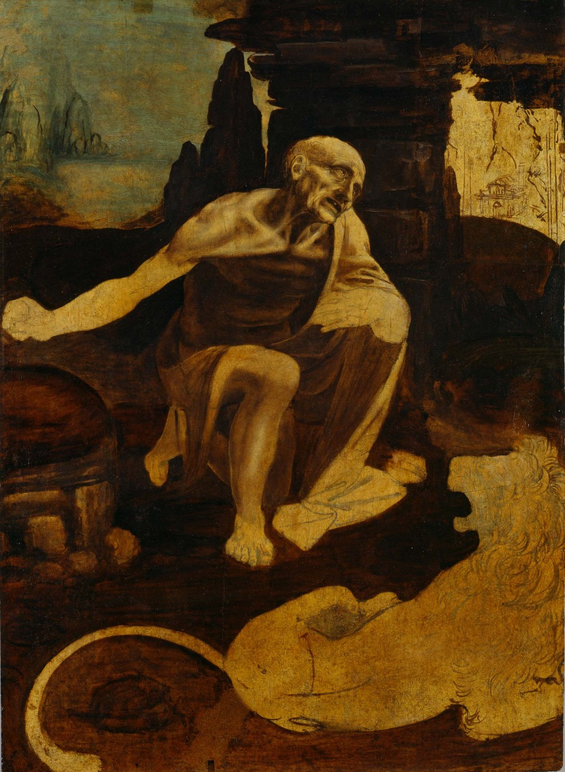 We should expect to see the Italian Leonardos, and amongst them "St. Jerome in the Wilderness" in Paris next Fall but, given the complicated diplomatic relations between France and Italy lately, who knows. Though it is shrouded in mystery, as are most things concerning Leonardo, “St. Jerome in the Wilderness” (believed to have been painted between 1486 and 1490) has been unequivocally attributed to the Great Renaissance Master. It is the sole Leonardo painting in the Vatican Museum’s collection and in the city of Rome, making this exhibit, which will be open until June 22nd all the more significant. 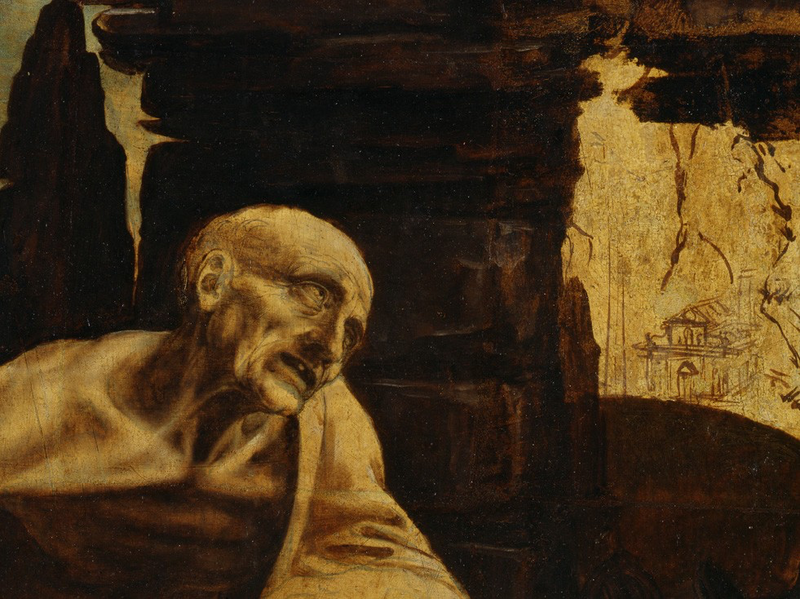 This unfinished oil on wood painting depicts St. Jerome as a modest elderly hermit longingly looking towards the heavens, unbothered by the roaring lion at his feet. The precise anatomical details, the saint’s deeply expressive features, and the mountainous background are all distinctively Leonardesque elements. 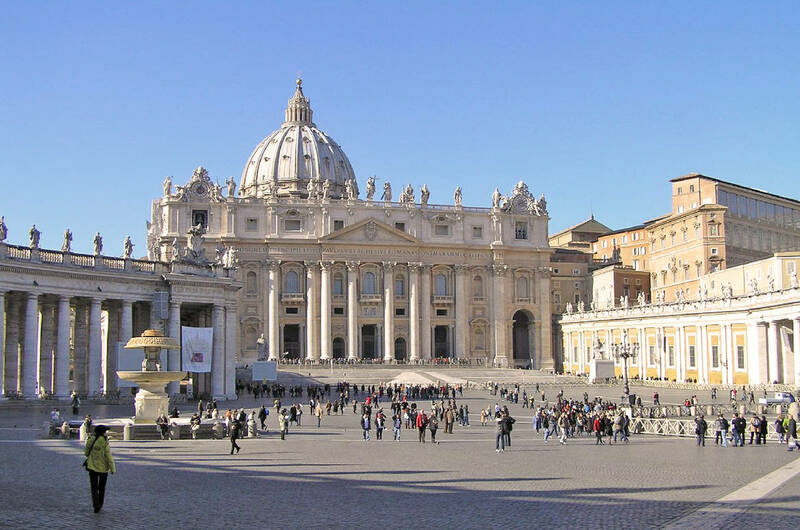 The painting is displayed in the Braccio di Carlo Magno in St. Peter's Square, protected by a nearly undetectable temperature-controlled display case. The exhibition also features a video explaining the painting’s history. According to ANSA, the painting is set to travel to New York City in July, where it will be featured in an exhibition at the Metropolitan Museum of Art. It should then be part of the much anticipated Leonardo exhibition hosted by the Louvre in Paris starting October 2019, a show which has already been at the center of diplomatic disputes between France and Italy. 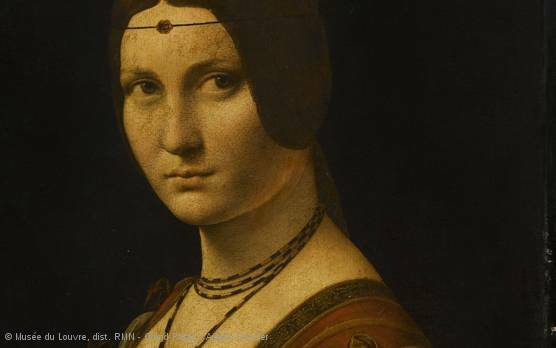 This year marks the 500th anniversary of Leonardo Da Vinci’s death and several institutions across the world are carrying out initiatives to celebrate one of the world’s most acclaimed artists. Leonardo’s appeal is practically universal, he is undeniably one of the most fascinating and mysterious artists in the western canon. That’s probably why discussions surrounding him often become heated, particularly between France and Italy. Because of their incredible value, works by Leonardo, particularly his paintings, rarely travel. When the Louvre announced that it would be hosting the largest exhibition ever devoted to the Renaissance master, featuring 14 to 17 paintings and multiple drawings, it garnered great excitement and anticipation within the art world. However, in November, the Italian culture minister Alberto Bonisoli (of the right-wing party Lega), announced that he intended to back out of the agreement his predecessor Dario Franceschini had made with the French government in 2017, in which Italy was to loan all of its Leonardo paintings including the Uffizi Gallery’s “Annunciation” (around 1472), “Adoration of the Magi” (around 1482), and “The Baptism of Christ” (around 1475), as well as the Vatican Museums’ “Saint Jerome in the Wilderness” (1480). In line with his party’s nationalist approach, Bonisoli argued that Leonardo was Italian and that his paintings should therefore remain in Italy, that letting France host such an exhibit would “put Italy on the margins of a major cultural event.” For months, the two nations argued and tried to negotiate new terms, including loans of Raphael paintings from France to Italy in occasion of the artist’s own 500th anniversary in 2020. Finally, in early March, both sides announced that the issue had been resolved and that the loans would indeed take place. Bonisoli backtracked on his previous statements, now stating that he was “happy that France should celebrate the greatness of Leonardo.” We should therefore expect to see the Italian Leonardos, and amongst them "St. Jerome in the Wilderness" in Paris starting October but, given the complicated diplomatic relations between France and Italy lately, who knows.